I love personalised items and books. A personalised book is pretty special. They are great for the kids and they are something you can keep for when they are older too. I recently reviewed an 'I Love...' book from Love2Read. I was very pleased with the quality of the pages inside of the book and the texture of the book too. The size is just perfect for small hands. I chose the 'I Love...' book because I thought it would be a lovely idea to put a few of Elliw's favourite people in there. 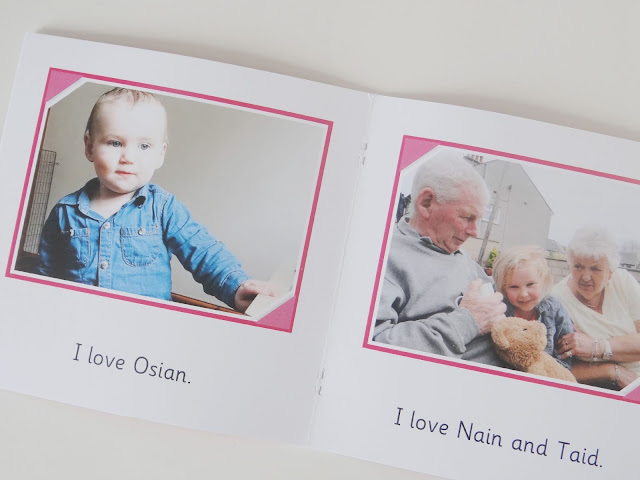 Some of the people included in the book are Me, Daddy, Mia, her cousin Osian and her best friend Aishah. The quality of the photos were pretty good too. Overall I was very pleased with the book and Elliw loves going through the book and pointing the people out. It's great for her speech so it is helping her in a way too, which I am pleased about. 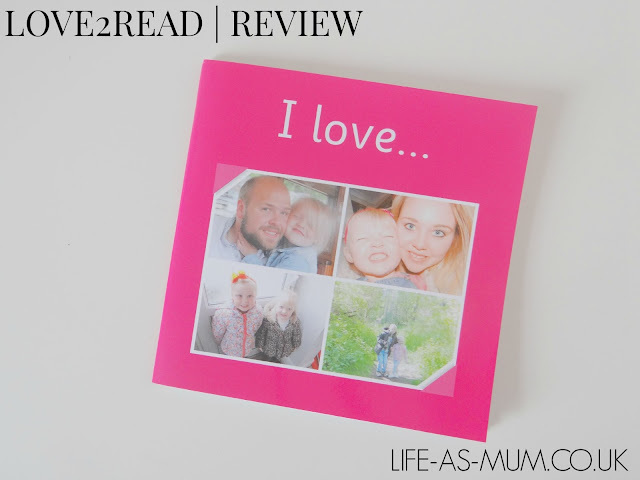 Love2Read offers a range of different personalised books. So each book ordered is personalised and unique. The words in the book are a perfect size for a child who is learning to read. The letters are clear and bold. On the first page of the book tells you who the book belongs too. I think it's a great idea as it can help them recognise their own name. You can also write who the book is from. Perfect as a gift. The books start from £14.99 and you can purchase one over at the Love2Read website. Love2Read and I are teaming up on a giveaway! 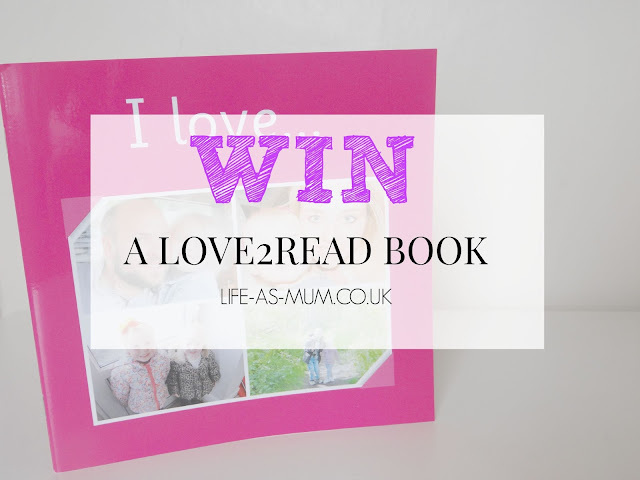 For your chance to win a Love2Read Book all you have to do is enter the Rafflecopter below and make sure you read the T&C's before entering please. - No cheating, you will be disqualified. All entries are checked. - The prize is a Love2Read book. No cash. - No payment is required for this giveaway. - Winner will be e-mailed within 48 hours of giveaway ending. 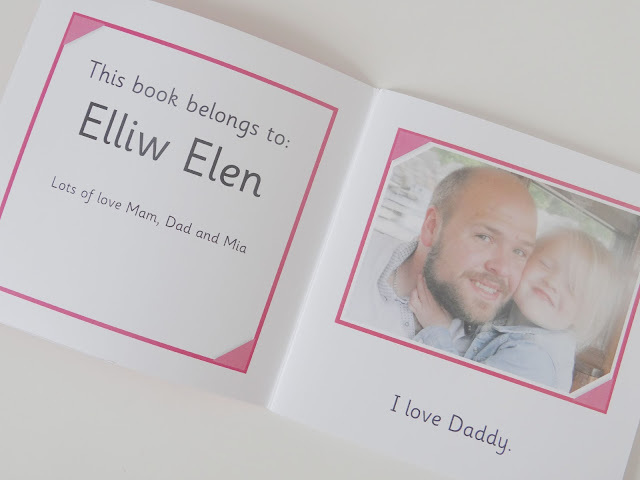 I've been hearing a lot about personalized books lately, they sound like such a cute idea! I'll have to do one for my kidlet someday.